I promoted some writing opportunities recently, including the literary Sarasvati. That same day I submitted a lyrical prose piece called Our Life: An Oil Painting, a sensual portrayal of an enduring relationship which I hope resonates. The good news is that it was accepted, and should appear in the September or October issue! Excellent news. I have had a really positive feeling about this year as being one that is full of opportunities for me, and so far I have not been disappointed! Of my story one of the editors, an ex-librarian with a huge passion for the profession, said: "Thanks for this submission which I enjoyed hugely. Sensual indeed!" 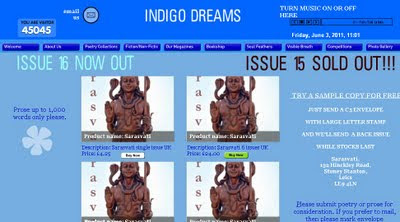 You can subscribe to Sarasvati here - it is good to support quality literary titles - and once details are firmed up in a couple of months I will update my blog. 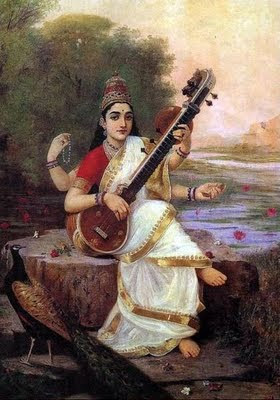 As an aside, Sarasvati is the Hindu goddess of knowledge, music and the arts.